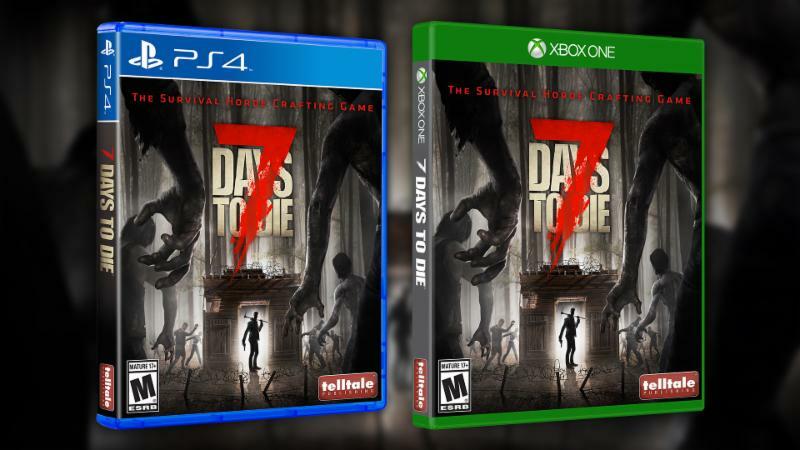 Telltale Publishing today announced the release of hit survival horde crafting game 7 Days to Die on PlayStation 4 and Xbox One for the first time, as a digital, and a retail product in collaboration with the Dallas-based independent developer, The Fun Pimps. 7 Days to Die is now available in stores at retail and digitally in North America on the PlayStation Network for PlayStation 4, the Xbox Games Store for Xbox One. The game will also be available starting July 1st both digitally and at retail for PlayStation 4 and Xbox One in Europe. The console version of 7 Days to Die adds a new multiplayer mode supporting local split-screen for couch play. The game will also be supported by exciting DLC content, beginning with a Walking Dead skin pack featuring characters from the Telltale series, set to release in the coming weeks. Here’s the official launch trailer. Tags: 7 Days to Die, Telltale Games. Bookmark the permalink.